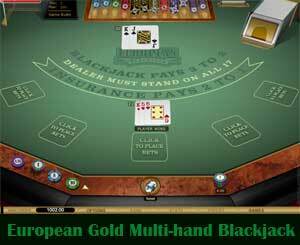 Blackjack is a very simple casino game to play which requires luck and skill. The main aim of the blackjack game is to obtain a hand which is as close as possible to a total of 21, without exceeding this number. To start the game of blackjack you have to place a bet. Two cards that are face up are then dealt to each player. The dealer is then dealt two cards, one of which is shown and the other is face down. 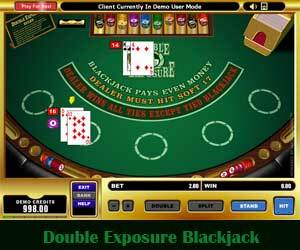 Each player decides whether to continue with the present online blackjack cards or to ask for extra cards to get closer to a total of twenty-one. The dealer's second card is then shown. If the dealer has a card total of seventeen or higher then no extra card is permitted. If the total is up to sixteen, the dealer gets another card. The Royal cards all have a value of 10. Ace is valued as 1/11. All cards between 2 and 10 are played at face value. Hard -hand is when there is no Ace or Ace is valued as 1. Soft -hand is when Ace is valued as 11. Hit : Requesting an extra card. Split : When two initial cards are divided into 2 separate hands (allowed only if the first 2 cards have the same value). Double-down : The initial bet being doubled after viewing the 2 dealt cards. However, after doubling down, a player may then receive only 1 extra card. Surrender : This involves giving up the hand thus giving up half of the bet. A royal card or a “10” along with an Ace as the 2 initial cards dealt results in a blackjack that is a win. If the dealer also won, the bet placed is returned to the player. If the dealer's hand is bust, the players win. A total exceeding the dealer's hand is a win and if the player has a total lower than the dealer's, he loses.